Prevents Obesity: One of the main reasons why exercise is so important is because it plays a large role in the prevention of obesity. It can also be used to help your child lose weight. Childhood obesity not only has an effect on the confidence of your little one but it can also cause numerous health problems such as an increased risk for diabetes. Cognitive Development: Allowing your children to go out and play is great for their cognitive development. Playing outside and doing physical activities will not only improve their physical capabilities but it can also play a pivotal role in their mental development. Sharon Baptist Head Start uses physical activities as part of providing Head Start pre-K in Bronx, New York. Fun: Nowadays, most kids spend their days playing video games, watching TV, or just being stuck in the house. This can create a monotonous daily routine for your kids without imagination or creativity. Having your kids play outside while doing physical activities is not only fun but it gives your little ones the chance to use their imagination and to enjoy life as kids. One of the best parts of growing up was being creative. To help your kids have fun, we use many exciting physical activities at our child day care centers. 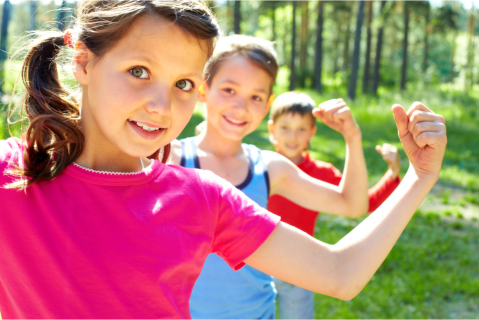 Those are few of the many reasons why exercise is so important for our children and with our two generation program, we can help your kids excel. As a child day care center, we are committed to helping your children get the Head Start they deserve for their academic careers. This entry was posted in Exercise and tagged Cognitive Development, Fun, Prevents Obesity. Bookmark the permalink.